This circuit is a stereo amplifier that will convert your MP3 or portable player into a stereo system with enough power to fill a large room with stereo sound. 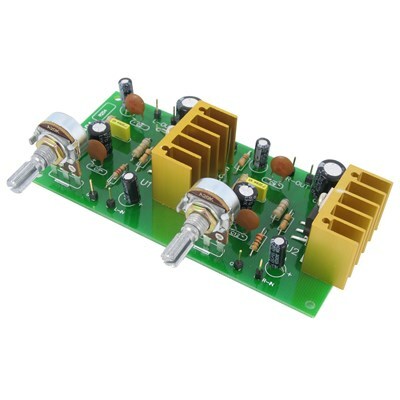 The amplifier is based on two TDA2003 Integrated Circuits and features temperature compensation and overload protection. Two heat sinks are also included as are two independent volume controls.